The Artists Archive of the Western Reserve (AAWR) is a unique facility that preserves representative bodies of work created by Ohio visual artists and, through ongoing research, exhibition and educational programs, actively documents and promotes this cultural heritage for the benefit of the public. AAWR is home to thousands of artworks created by regional artists. 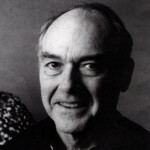 Herbert Ascherman serves as the Board President for AAWR, beginning his service on the board in 2009. A fourth-generation Clevelander, he is considered by many as one of this nation’s foremost living portrait photographers. 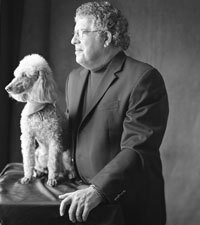 Herb has been creating fine art and professional portraiture for more than 36 years, specializing in black and white and the resurgent art of platinum photography. Internationally recognized for his photographs of people in creative, commercial, and social settings, Herb’s work has been exhibited and commercially published throughout the U.S., Europe, Japan and India. He has taught for over 30 years, appeared on numerous television and radio programs, and published three books on portraiture. George Roby is a respected Ohio potter, sculptor, and teacher. His work includes large, expressive slab and coil built sculptures that are suitable for indoor or outdoor exhibit. He has produced functional stoneware using various techniques. George Roby became an archived artist at The Artists Archives of the Western Reserve in 2002. Today, his works can be found in the Cleveland Museum of Art, The Butler Institute of American Art, and the Columbus Museum of Art. For more information email info@artistsarchives.com.